The true story of a man who lived alone in the woods of Maine for 27 years, not out of anger at the world, but simply because he preferred to live on his own. 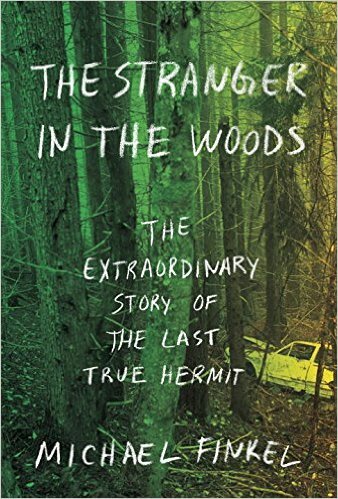 The Stranger in the Woods is partly about what it means to be a hermit: Tactically, practically, psychologically. 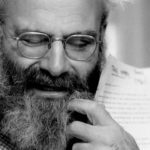 But Finkel’s book is also about what we want from hermits—why we’re endlessly fascinated by them, and why we’re just as often frustrated by them ... Among the more fascinating aspects of his story is just how close he was able to live near civilization, without ever being seen ... Reading The Stranger in the Woods, one is reminded of China Miéville’s sci-fi police procedural, The City and the City, in which two neighboring cities, Bes?el and Ul Qoma, overlap one on top of the other, even though they remain completely separate entities. This separation is maintained via conscious acts of will by the cities’ citizens, who 'unsee' anything that happens in the other city. It is a similar act of will that each of us employs to unsee the world that Knight discovered, even though it’s only a few feet in front of our faces ... Christopher Knight is an anti-Thoreau, and Finkel’s book, an anti-Walden. It’s campfire-friendly and thermos-ready, easily drained in one warm, rummy slug. It also raises a variety of profound questions — about the role of solitude, about the value of suffering, about the diversity of human needs ... A few sentences in this book are sprayed with that inexplicable men’s-magazine hyperbole cologne ... Finkel, to whom Knight gave stunning access while in jail — especially for a hermit — also does a fine job conveying the idiosyncrasies of his subject’s character ... The Stranger in the Woods is involving and well-told; it certainly casts its spell. But there are inconsistencies in Knight’s story. This romantic figure, this mysterious man who had abandoned society for the forest, was nothing more than a common thief, stealing blocks of cheese and packages of bacon from little kids. This is the problem with Finkel’s book. Finkel does his best. His writing is vivid and clear, his reporting is diligent. He is careful not to overstep the journalistic boundaries of what he knows...His research is comprehensive. And it leads us — nowhere. There is no big moment when Knight decided to jettison society, no reason that he or anyone else can give for choosing this strange life, no lesson to be learned ... There is no wisdom here. Sometimes a hermit is just a hermit. Sometimes a thief is just a thief. Finkel did his best. The book is interesting, but it is not illuminating. What did you think of The Stranger in the Woods?